NEW YORK (CNNMoney) - Tesla customers who receive their cars after the end of the year won't be getting a $7,500 tax credit. The federal tax credit serves as an incentive for US car shoppers who choose eco-friendly plug-in vehicles. But for an automaker, the full tax credit for their customers is gradually phased out after a company sells its 200,000th electric car in the United States. While the federal tax credits are available for any Tesla model, they were considered particularly important to Model 3 buyers. 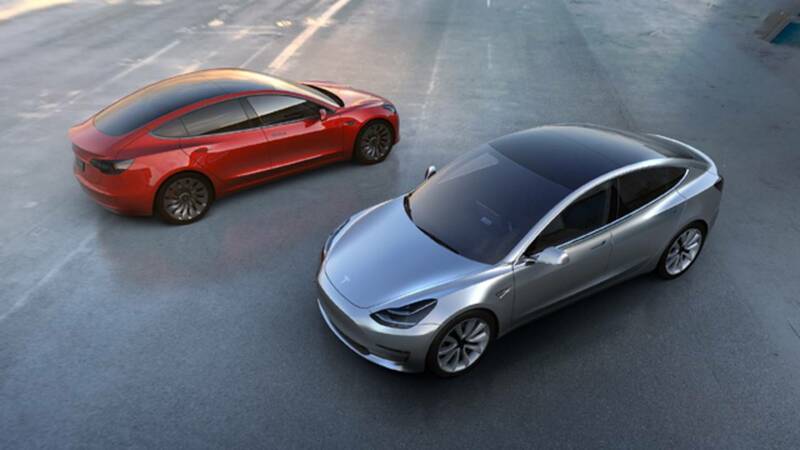 The Model 3 is the company's newest model, and Tesla's first attempt at a more mass market car. A Tesla spokesperson confirmed Thursday that the company sold its 200,000th car in the United States this month. According to a new schedule posted to its website, the $7,500 tax credit will still be available on purchases made through the end of the year. Then, the federal tax rebates will shrink for Tesla buyers throughout 2019. They'll be capped at $3,750 between January and July next year, then they'll be reduced to up to $1,875 for cars sold before the end of December 2019, according to Tesla's timeline, before being eliminated completely. The company pointed out that various states have their own tax incentive programs for EVs. While its other vehicles, the Model S sedan and Model X SUV, cost more than $70,000 — the cheapest Model 3 option comes in at $35,000. And the $7,500 tax rebate has allowed Tesla to position the car as even more affordable. But buyers don't get the credit until they file their taxes for the year in which their Tesla was actually delivered to them. Because the Model 3 has been plagued by a series of production bottlenecks, that delivery timeline has taken much longer than Tesla initially promised. Tesla has also said that it plans to fulfill orders for more expensive versions of the Model 3 before it begins making the chepeast, base-price versions. In fact, Tesla has yet to sell a single Model 3 at the base $35,000 price. There are customers who want those cars, but they'll have to wait while Tesla makes higher-priced versions, costing $50,000 to $60,000, first. A Tesla spokesperson could not confirm Thursday whether Tesla would begin delivering the cheapest Model 3s before the end of 2018, when the $7,500 credits run out. — CNNMoney's Chris Isidore and Peter Valdes-Dapena contributed to this report.